The Weapons Locker in the Resident Evil 2 remake hides the shotgun. To obtain the shotgun you have to unlock the locker. How do you do that? You have to find the Weapons Locker Keycard in a different part of the Police Station. Even that is hidden behind a door that requires a special key. That said, you definitely want to get that shotgun as soon as possible; your starting peashooter just isn’t enough. 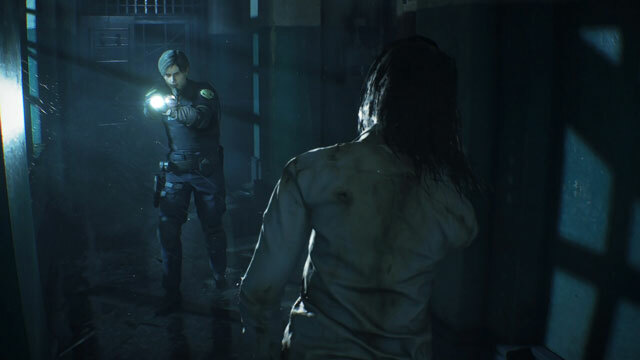 That being the case, our Resident Evil 2 Weapons Locker – How to Unlock & Get Shotgun will help you do just that, with the Weapons Locker Keycard location, and more. How to Open Weapons Locker in Resident Evil 2 & Collect Shotgun? To unlock the Weapons Locker in the Resident Evil 2 remake, you first have to find the Weapons Locker Keycard in the Art Room. You can only access the Art Room if you have the blue Spade Key, which is on the third floor of the Police Station. Once you get it, head up the east staircase from the Main Hall. Proceed to the far end of the upstairs corridor and go into the Waiting Room. Unlock the door with the Spade symbol. Turn left, and go through the first door on the right to enter the Art Room. The Weapons Locker Keycard is on the small table next to a green lamp. After you get the keycard, it’s time to make your way to the Safety Deposit Room on the first floor. You can access it from the West Office, next to the west staircase in the Main Hall. The door to the room is right across the hallway from the West Office. The Weapons Locker is on the far end of the Safety Deposit Room, and it has the Shotgun, plus some ammo for it. All you have to do is interact with the keycard slot and select the locker keycard from the menu. Boom; now you have some mightier firepower at your disposal. Don’t go too trigger-happy, though. Conserve your ammo for only the most dire of circumstances. That does it for this guide. If you need help with something else, feel free to look through our other Resident Evil 2 remake guides. Among others, we’ve got Dial Lock Combinations – Padlock Codes and Safe Unlock Puzzle Solutions.